Continuing the occasional series on electrically powered transportation .. In Edinburgh recently, coincidentally with the 2015 Science Festival. On a brilliant sunny morning there was a collection of European EVs on display at the High School Yards. There were 2 BMW i8s on show, and an i3. More prosaic vehicles included several Renaults, including a single person sized runabout (the Twizy), and a useful delivery van. 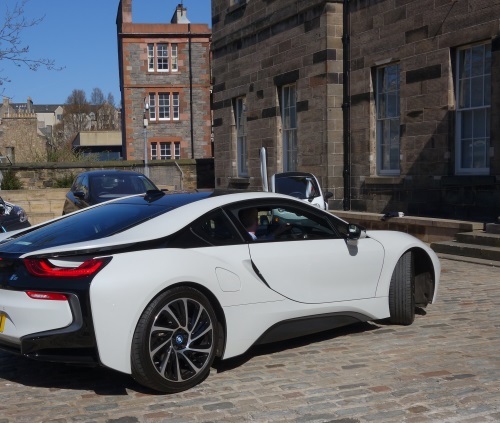 The i8s and the Twizy both have gull-wing doors, which are back in style. There were no Teslas. While walking about the city, the only EVs noticable in any volume were Nissan Leafs. When so much of the city centre residential architecture is flats, with extremely limited street parking, the ability to build charging infrastructure is constrained. 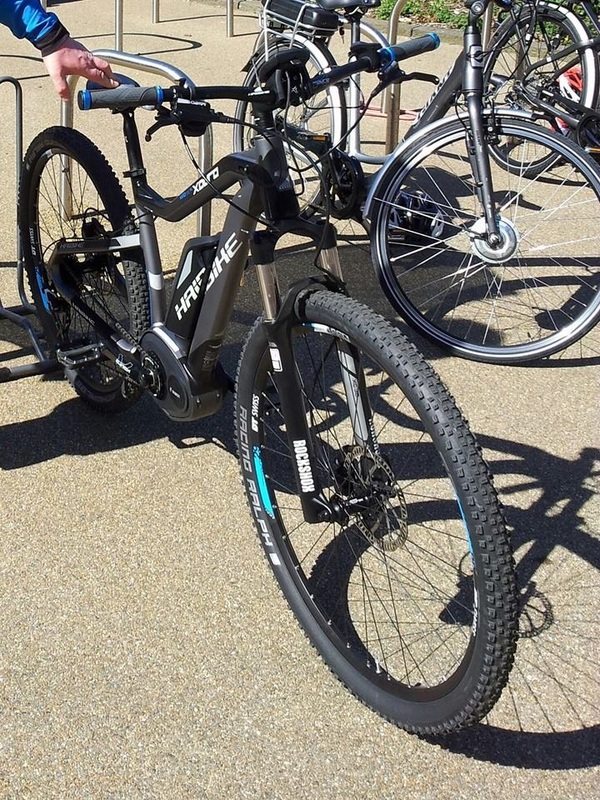 Electric bicycles, with easily removable batteries, are much more practical for the city, at least in dry weather. The Edinburgh Cycle Company had brought a selection of bikes, and I enjoyed a quick ride on the Haibike Xduro - very smooth Bosch crank driven acceleration, and weight of 18.6 kg (this is probably without the battery). Not really suitable for carrying upstairs, but it's much easier to find a sheltered lockable space on the ground floor for a bicycle than for a car.